Planning your child’s potty training schedule can be a tricky task. But consistency, patience and open communication between parents and daycare providers can lead to a more successful training routine. Here we have real-life accounts of parents and child care providers working together to create seamless training schedules. A child may be ready physically, but not emotionally. When he’s ready emotionally, it’s usually a painless process. Debra Pritzker in Framingham, MA, has been a family daycare provider for 17 years. 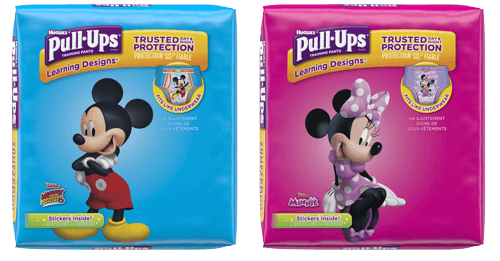 While she doesn’t have a potty training policy per se, she requests that the children wear a product like Pull-Ups® Training Pants. She says this creates a less upsetting experience for the child, as accidents are contained. Pritzker has encountered a few situations where a child would act clueless at daycare with regard to toileting and then come in one day wearing underwear. “I need to trust the judgment of the parents, just as they would trust mine if it were the reverse situation,” says Pritzker. Communication is key, she adds. Parents need to communicate with the provider to make sure everyone is on the same page. A child may be ready physically, but not emotionally, she says. When they’re ready emotionally, it’s usually a painless process. Marcus Hopper was worried that the potty training progress his daughter made at home would be set back on the three days a week she attends daycare. Initially, this was the case. “She really didn’t start making consistent progress until the provider agreed to work with us in allowing her to wear underpants at daycare,” says Hopper, of Pleasant Hill, CA. The process was initiated when the provider asked what was working well at home. Kim McMonagle, director of Tender Care Learning Center in Green Tree, PA, says she and the other staff members at the daycare adapt to the child’s routine, as it’s best to help a child learn to listen to her body. One tip McMonagle has is to provide many changes of clothes for your child care provider, as they never know how many changes they’ll need in a day. It’s always better to send more than you think is necessary. Constant communication with your child care provider is essential for a successful training program. Ask questions daily, such as: What’s working? What’s not working? How did training go each day? By working closely with your child’s care providers and being consistent with a potty training routine, your child will be on his way to being a potty pro, both at home and at daycare.